While the Philippines remains on friendly terms with China, the government will continue to assert the country’s sovereignty if it comes under attack, the Palace said Wednesday, even as Foreign Affairs Secretary Teodoro Locsin declared that the West Philippine Sea “is ours” and that Beijing just took it. The Palace on Wednesday made clear that China “has no business” in posting hundreds of ships near Pag-asa Island, and that doing so would be viewed as an assault on Philippine sovereignty. In a Palace briefing, Panelo said the Philippines is considering filing a second protest. Meanwhile, reports said that Chinese vessels have also been near the islands of Kota (Loaita) and Panata (Lankiam Cay). Authorities said they have monitored several Chinese vessels, believed to be maritime militia, in the West Philippine Sea last March 28. 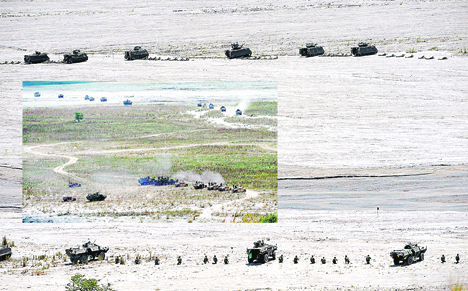 “They cannot be intruding in our territorial property,” Panelo said. “While we remain friendly with respect to trade relations, we will always assert sovereignty when it is being impaired or assaulted,” he said. “If they continue to be present in our territory, then it is an assault on our sovereignty,” he added. The Palace said a note verbale was on its way to Beijing since last week. However, the Palace has not heard yet from the military and the DFA whether the Chinese government has responded to the diplomatic protest. “We will give them reasonable time to respond to our protest,” he said. Locsin, meanwhile, said Chinese actions in the West Philippine Sea was “clear evidence” of its power in the South China Sea. “The stand is that it is ours. And they took it. World’s highest court ruled that. Period,” Locsin said, in his Twitter account. “Now the question is how to take it back,” the country’s top diplomat added. China has rejected a United Nations-backed arbitral tribunal’s ruling that invalidated its sweeping 9-dash line claim over the South China Sea. The government has been raising its concerns over China’s activities in the South China Sea, particularly the building of military structures in the disputed maritime territories. Manila and Washington are bound by a Mutual Defense Treaty. However, the US role in the Philippines’ dispute with China over the South China Sea remains vague. Defense Secretary Delfin Lorenzana has sought a review of the MDT because under the US interpretation, the treaty covers only “metropolitan” Philippines and does not include the Filipino-occupied areas in the South China Sea.